58 year old presents with gradual loss of vision OD > OS . A profile picture of his cornea and topography are shown. What is the diagnosis? 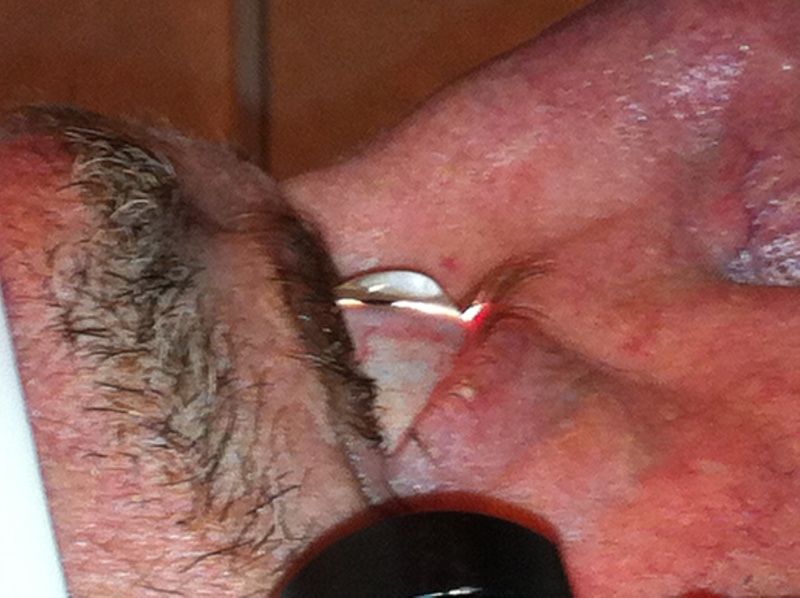 Note the clear cornea with inferior thinning. Corneal protrusion occurs above the inferior band of thinning. 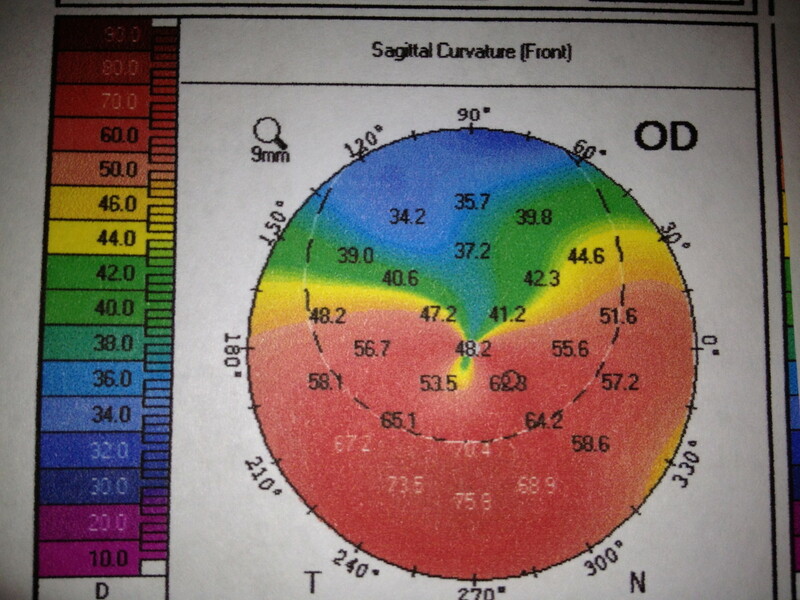 Corneal topography suggests inferior steeping with irregular astigmatism. This is classic Pellucid Marginal DegenerationThe main differential diagnosis is with Keratoconus. Note that the area of thinning in Keratoconus is corneal center or paracentral area and that the protrusion also occurs at the point of maximal thinning as opposed to Pellucid which shows protrusion above the area of thinning.